Always a sombre day of the year, Remembrance Sunday falls on 12th November and is a chance for us to remember those brave men and women who fought for our freedom. War memorials throughout our area will be the focal point for wreath laying and Remembrance Services. You can also wear your 'poppy with pride' as they are in the shops now. 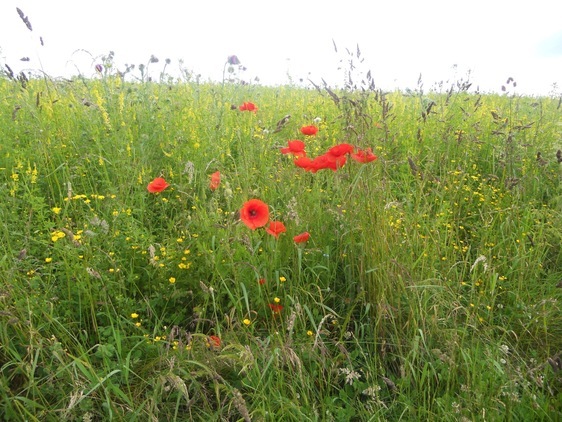 The scarlet poppy is the symbol of remembrance, a poignant flower that grows along hedgerows and in our meadows during the summer. The significance of the poppy can be traced back to the First World War (1914 to 1918) during which most of the fighting took place in Western Europe and in particularly in Flanders, France. The countryside was blasted by gunfire and swamped by mud, transforming the rural landscape to a brutal battlefield. However, the red Flanders poppies, even with its delicate petals, were resilient and grew in their thousands, flourishing in the blood, mud and shrapnel of no man’s land and between the rows and rows of wooden crosses that marked soldiers’ graves. 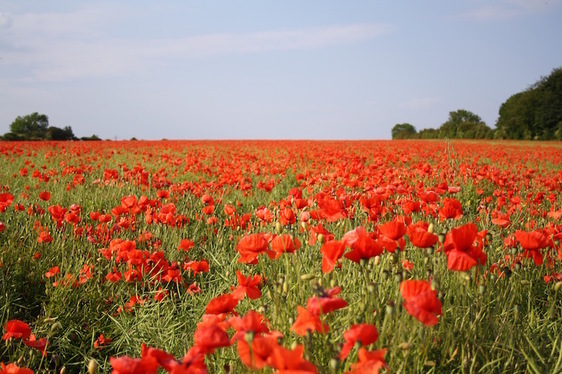 The war poem, ‘In Flanders Fields’, was written by John McCrae, and was inspired by these scarlet fields of poppies. His poem in turn inspired an American academic, Moina Michael, to make and sell red silk poppies that were brought England by Frenchwoman Anna Guerin. The Royal British Legion, formed in 1921, ordered 9 million silk poppies that year, selling them on 11 November (the date the armistice was signed in 1918). The poppies sold out almost immediately, raising £106,000, helping First World War veterans find employment and housing. Today the RBL’s warehouse in Ayleford produced millions of poppies each year and many of us will wear our poppy as a symbol of our respect to brave souls. We are happy to help transport you to a Remembrance Service so you too can show your respect. Give us a call today on 01653 696969 or click here to book.